Linda Burfield Hazzard: Pioneering Healer or Serial Killer? 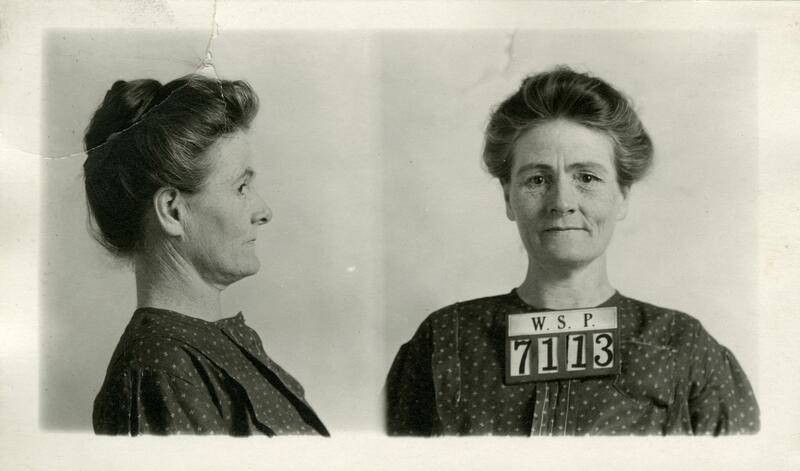 Mug shot of Linda Burfield Hazzard, as she was admitted into the Washington State Pentitentiary. Source: Linda Burfield Hazzard: Pioneering Healer or Serial Killer? 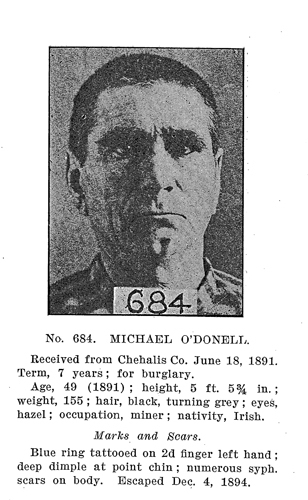 Michael O’Donell had a hard life, according to this record. Walla Walla State Penitentiary, Wanted: Escaped Prisoners from the State Penitentiary, 1913, Penitentiary, Washington State Collection, Washington State Archives, Digital Archives, http://www.digitalarchives.wa.gov.